Direct primary care, provided separate from insurance, eliminates the need for expensive data and claims collection and returns the focus of primary care back to you, the patient. Direct primary care clinics can offer access to wholesale medications and testing that is significantly cheaper than through insurance. Direct primary care is not a replacement for insurance. Insurance plans are used to cover hospital, emergency and specialist care while patients pay for primary care via a low monthly membership fee. 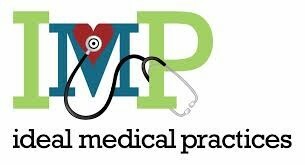 What is Ideal Medical Practice? Empower Family Medicine is an ideal medical clinic designed with our community in mind. A generation or two ago, doctors knew their patients, families and community members well. They might be seen making clinic, home or hospital visits to people in need with black bag in hand. Ideal Medical Practice seeks to restore that doctor-patient relationship. Patients are empowered by having adequate time with their doctors. Doctors are empowered by limiting their practice to a smaller number of patients so they can truly know them well. And both are empowered by technology for rapid communication and tracking health information. Today, we have the advantage of computer and internet technology allowing 24-7 access to your online patient portal for viewing records, receiving test results, scheduling appointments, and exchanging secure messages with your physician. Neighborhoods across the country are returning to the values of relationship based services. For example, in community supported agriculture (CSA), people pay a flat monthly fee for a membership that supports a farmer for a growing season. In return they get a higher quality product and support a local business. Costs associated with the "middle man" - big chain grocery stores - are eliminated. Could the same model be applied to health care? Yes! In the words of physician Dr. Robin Dickinson, "Community Supported Family Medicine is a new-again concept. By paying the doctor directly, you are eliminating barriers between you and your physician and minimizing the expense of your care. For families who are paying out of pocket for their medical care (because they are uninsured or carry a very high deductible), this model can help you take control of your expenses while receiving the high quality care provided by a medical home." For those with insurance, primary care physician services are covered by the monthly membership fee, while other health expenses - like hospital, emergency room, or specialist fees - are billed to your usual insurance plan. Because Empower Family Medicine is funded through membership fees rather than a fixed fee for each visit, the incentive to "see more patients" is gone and healthcare focuses more on quality and less on quantity. Members will have access to high quality primary care, computer technology for communication with the physician, and a wealth of health related information through online video, blogs and an in-office lending library. When not seeing patients in an office, your community supported physician is free to provide health education events and groups classes that can benefit the whole neighborhood. Ready to get started? Click here to learn how to become a member.